Looking for something fun and free to do this month? Well let me tell you about a great way to spend Tuesday June 14th. Come on down to Macy’s South Coast Plaza Home store for their Strawberry Shortcake Day Celebration. The event starts at 2PM on Level 2 and includes a demo from a local chef. 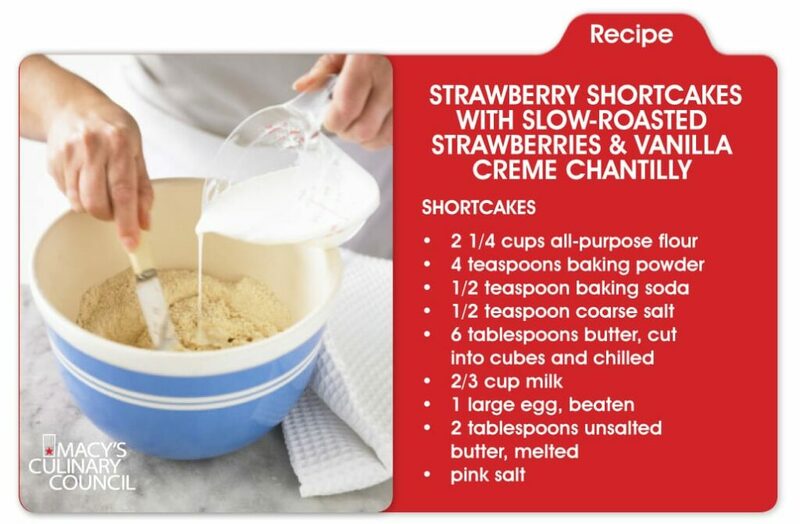 I’m sharing a Strawberry Shortcake recipe from Macy’s blog from Johnny Iuzzini, Macy’s Culinary Council expert and award-winning pastry chef. 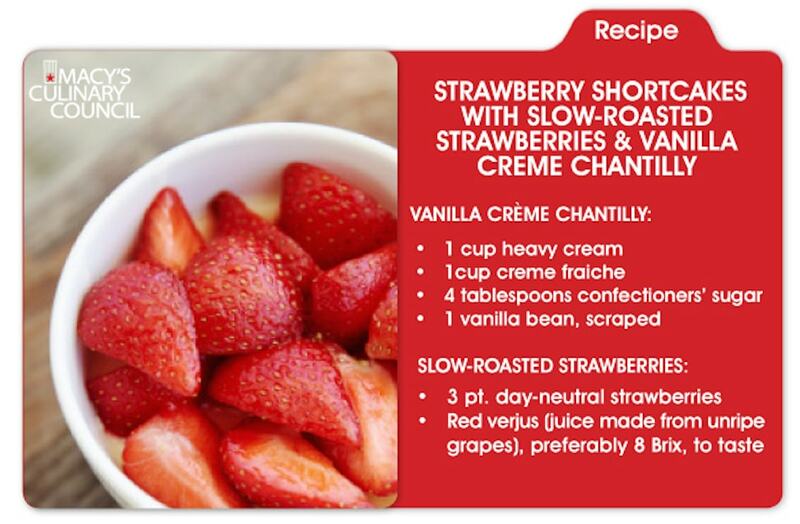 For the complete recipe and directions, Check out Macy’s blog post “The Most Amazing Strawberry Shortcake Recipe You’ll Ever Make“. Do you have a favorite way to make this classic American dessert? Strawberry Shortcake is my mom’s favorite dessert and I plan to make it for her birthday. I’ll be excited to watch the demonstration at Macy’s South Coast Plaza on Tuesday June 14th at 2 PM to see another classic take on this American Icon recipe. 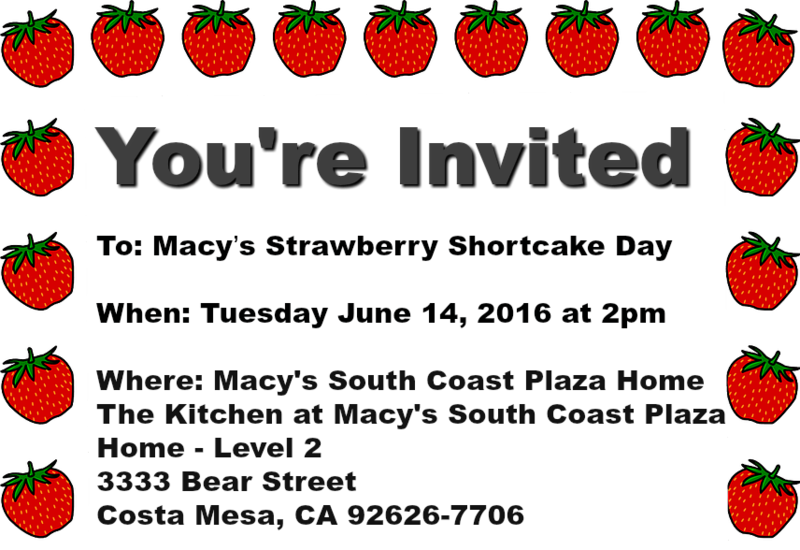 Will I see you at Macy’s Strawberry Shortcake Day? Get more information here.